Happy Valentine's Day! 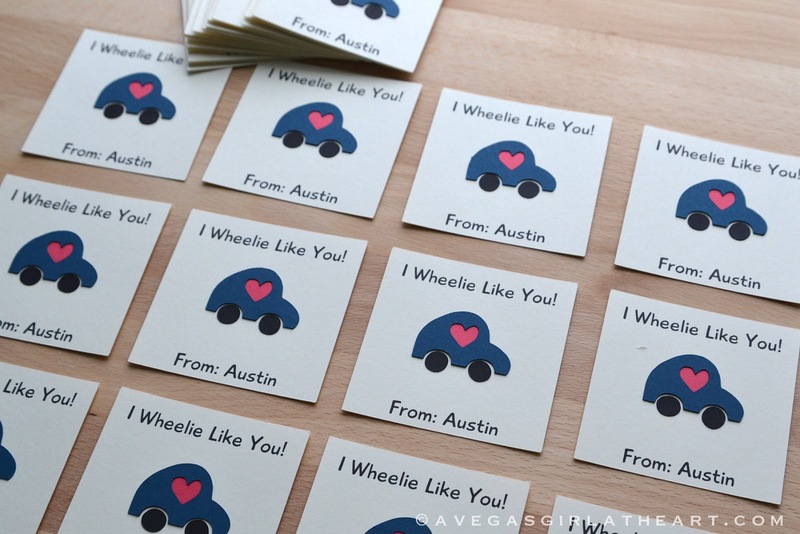 Today I wanted to share with you the Valentine cards I made for Austin's daycare class. Austin's class size went from 8 kids to 24 when he moved up to preschool. Last year, I had made up some cute little rubber ducky gifts for the kids but I just couldn't do anything like that this year. I went into CVS looking for those packaged Valentines instead. 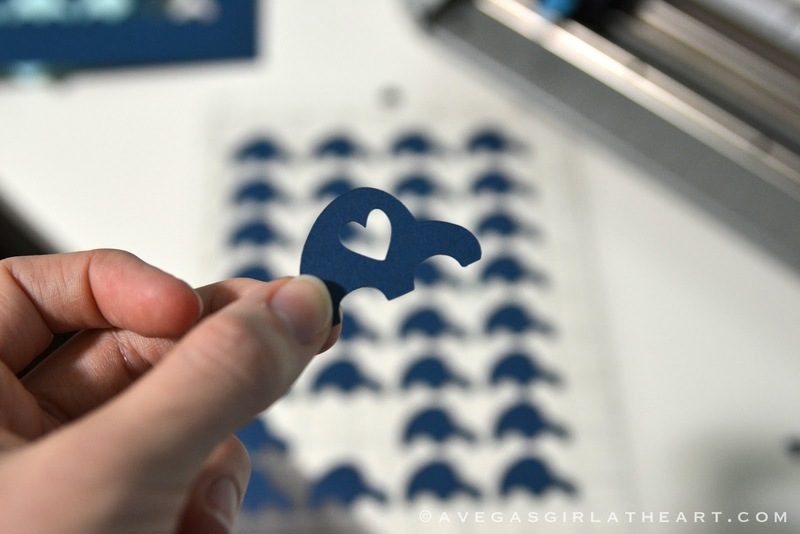 And I could not find a single package that didn't seem incredibly lame to me, the crafter. So I decided that I would have to make up some simple cards myself using my Silhouette Portrait. 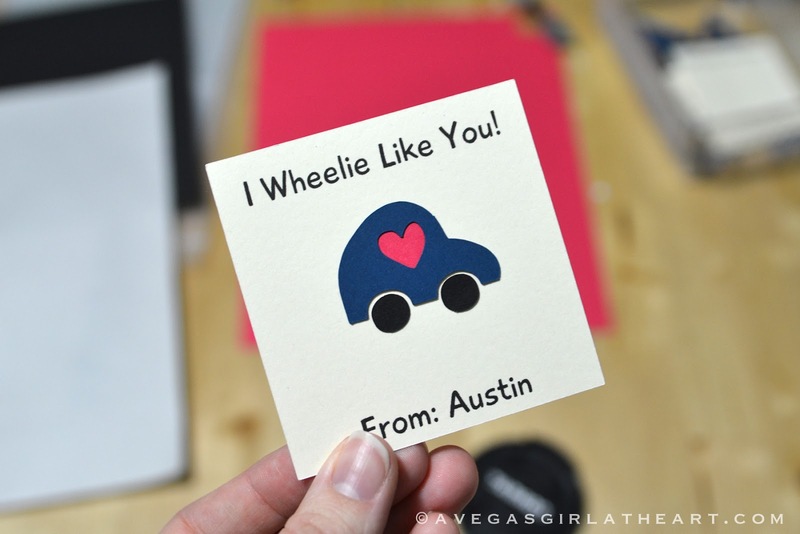 I knew Austin loved cars, and I had previously purchased this cute little car from Amy Tangerine for our road trip to Disney, and because it had a heart cut out in the center I thought it would be cute for the Valentine cards. So I had my car, but what to say on the card? 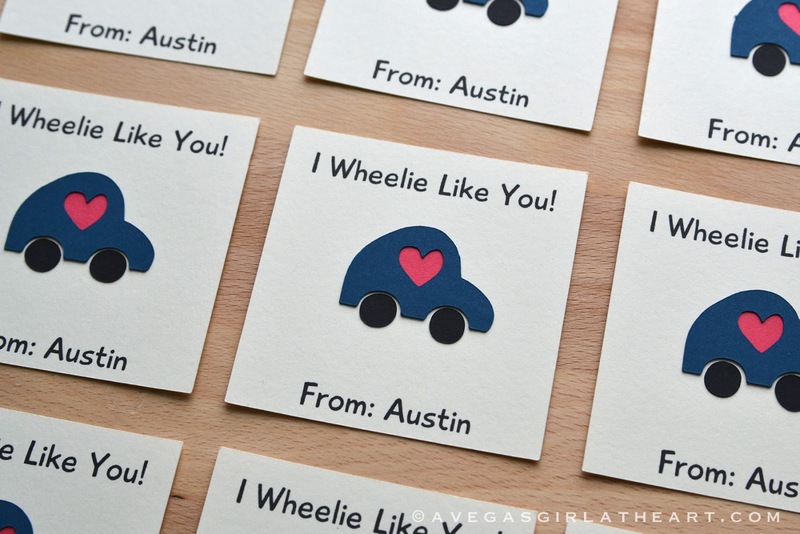 I shamefully googled "car valentine" and saw a few different options for wording. 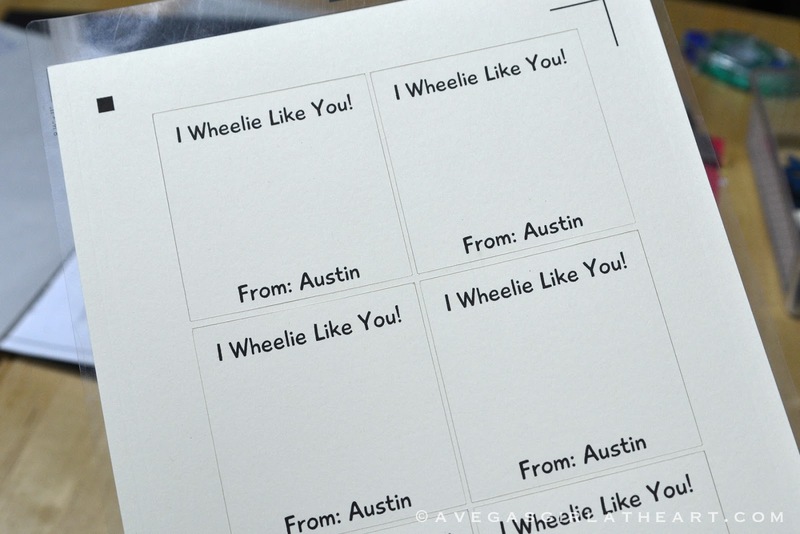 I liked "I Wheelie Like You" the best, and decided to roll with it. (Get it? "Roll" with it? Haha). 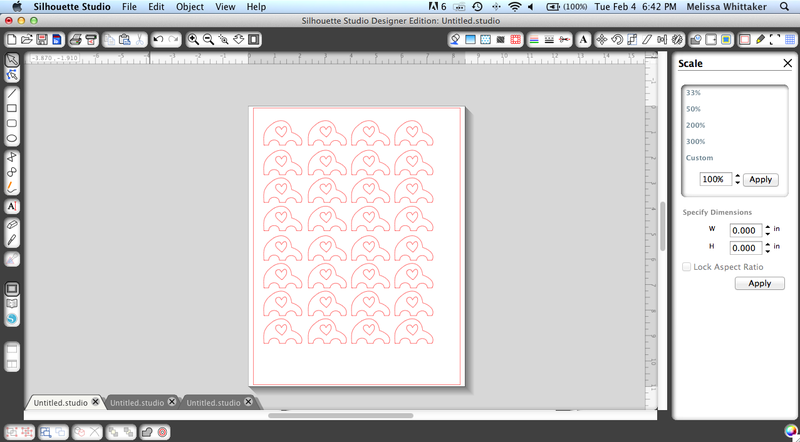 First, I resized the car to 1.5" width, and replicated the design so I could cut out a whole bunch at once. Then for the card, I drew a box around one of the cars on a new canvas 3" square, and centered the car on it. Later, I delete the car, but I needed to insert it so that I could align my text up properly. 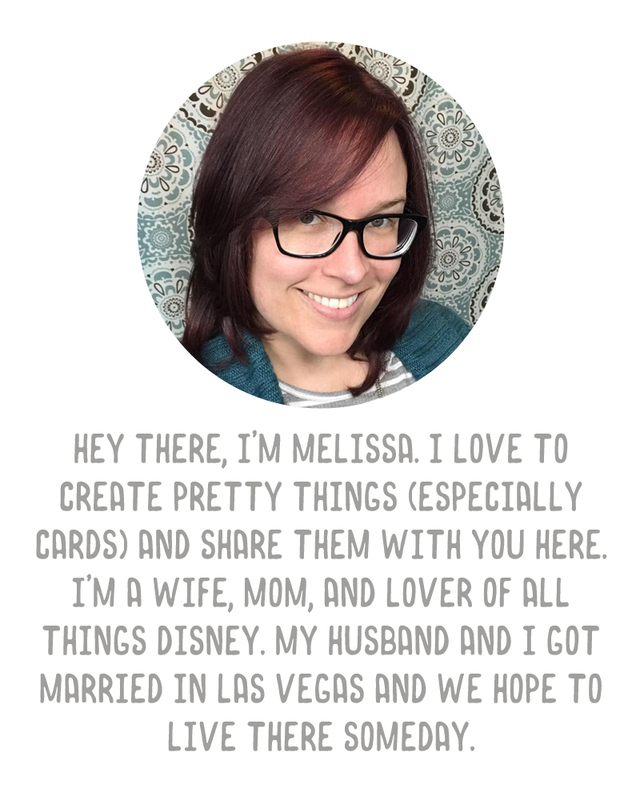 I chose my font and typed my text, changed the lines to "no cut" and then used the print & cut feature to print the text on my card stock in my printer, and then cut it out on the Silhouette. 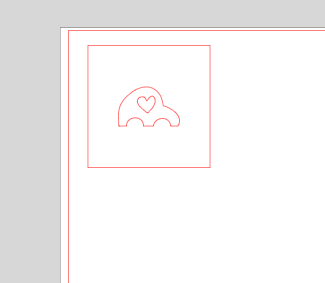 To put together the card, I punched a 3/4" red card stock circle with a circle punch, and attached that with a glue pen to the back of the car, so that the heart was red. And then I just attached the car and the tires to the card. Done! The whole process (design, print, cut, put together) took about an hour, split over two days. 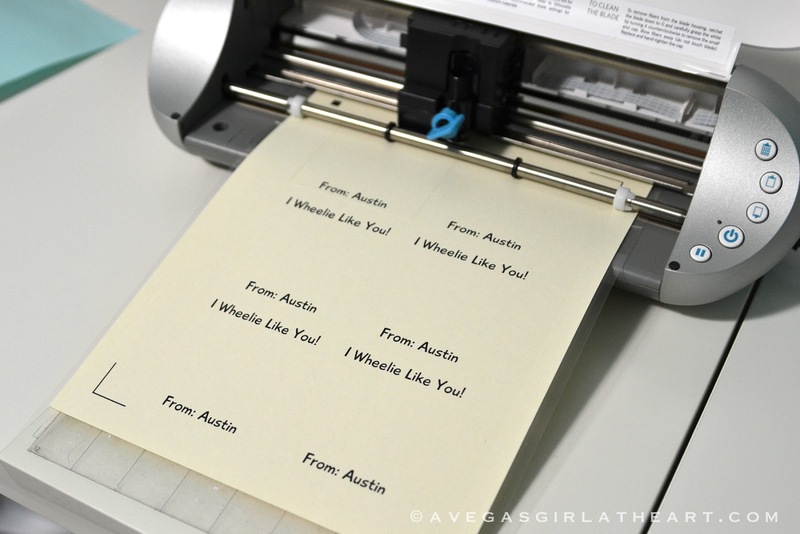 Simple and a much cooler Valentine than those boxed ones at the store. Plus I already had all the supplies needed, so they cost nothing!